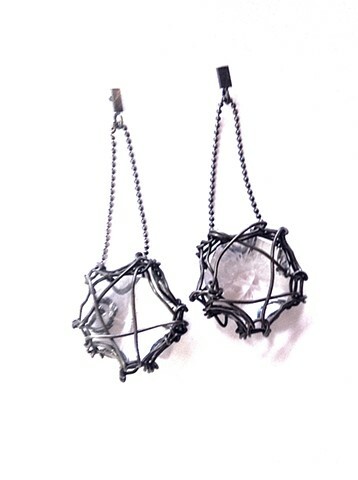 These earrings are a combination of industrial goth and 21st century bling. Wear them to be dangerously chic or skillfully dramatic. Hand made using steel wire and oxidized silver ball chain. Reclaimed crystals.